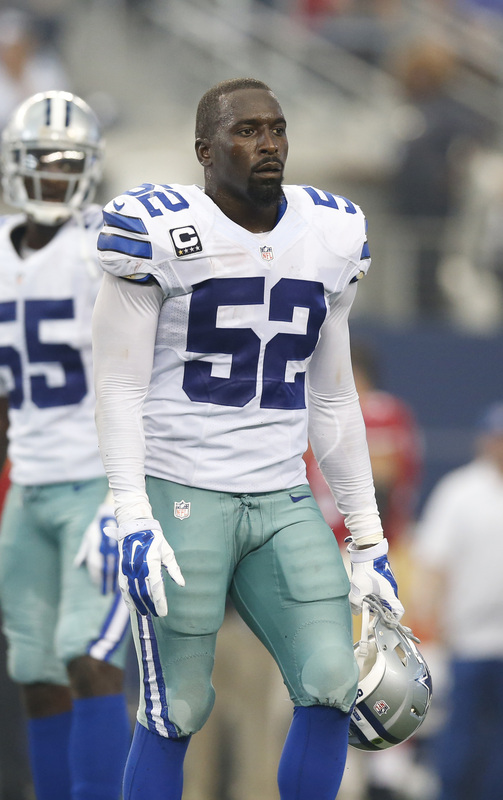 Now that the Cowboys are no longer in contention for a playoff spot, the team has decided to cut veteran linebacker Justin Durant, reports David Moore of the Dallas Morning News (Twitter link). The Cowboys have promoted linebacker Tre’Von Johnson from the practice squad to replace Durant on the active roster. Durant, 32, was in his fourth year as a member of the Cowboys. He signed with Dallas prior to last season and was also on the team in 2013 and 2014. The veteran linebacker played in just seven games this season due to injury, collecting a combined 13 tackles while on the field. This was a notable step down from what he’s done in the past as he appeared in double-digit games all but once since he entered the league as a second round pick by the Jaguars in 2007. Durant was clearly behind fellow middle linebackers Anthony Hitchens and Jaylon Smith on the depth chart, so without anything to play for in Week 17, the coaching staff probably felt that they should get some younger players more exposure to regular season game action. The Cowboys will face the Eagles in Week 17 in an attempt to finish above-.500 for the second year in a row. The Chiefs‘ offense bounced back after a rough stretch, going off for 31 points and four Alex Smith touchdown passes in a loss to the Jets. While Kansas City’s defense couldn’t hold up in a shootout, the team will be sticking with the offensive setup that authored the mini-turnaround. OC Matt Nagy will continue to call plays, B.J. Kissel of KCChiefs.com tweets. The 474 yards the Chiefs put up were the most since their 537-yard explosion against the Patriots in Week 1. The Chiefs host the Raiders in what’s close to a must-win game. Nagy has been mentioned as a head-coaching candidate, and these games he has play-calling responsibilities could be a key factor in whether he’ll get that opportunity in 2018. Despite a 2018 roster that almost certainly will still house Chandler Jones, Markus Golden and Haason Reddick, the Cardinals are interested in bringing back outside linebacker Kareem Martin, Mike Jurecki of Arizonasports.com tweets. Martin’s a pending UFA and has been a part-time starter since being selected in the 2014 third round. Jurecki notes the team likes Martin’s versatility. Although, Arizona has used plenty of capital in stocking this position already. The Cowboys will be without Orlando Scandrick, David Irving and Justin Durant against the Giants on Sunday, Mike Garafolo of NFL.com tweets. Scandrick suffered two transverse process fractures, while Durant and Irving remain in concussion protocol. The 6-6 Cowboys are clinging to contention and will need to complete a sweep of their NFC East rival to stay in the race. Justin Pugh will be unavailable for the Giants. 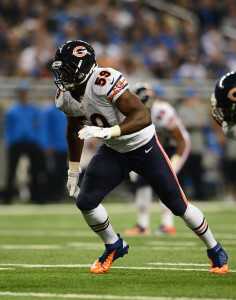 The upper-echelon blocker now faces the prospect of heading into free agency on a low note. Pugh’s back injury could force him to IR, Tom Rock of Newsday notes. Pugh said he wants to return this season but is also cognizant of his status. “I don’t want to,” he said of the prospect of being shut down for the season. “(But) I don’t want to make (the injury) even worse. It’s not at a point now where I have to get surgery or anything like that, and I don’t want it to get to that point.” Both Pugh and Weston Richburg, who is on IR, will see their contracts expire at season’s end. Pugh’s played in eight games this season. Rookie Saints defensive end Trey Hendrickson is expected to miss multiple weeks due to an ankle injury sustained against the Falcons, Nick Underhill of The Advocate tweets. A third-round pick, Hendrickson has played in 12 games for the Saints this season as a backup. The Cowboys announced that they have re-signed linebacker Justin Durant. To make room on the 90-man roster, the team has released cornerback Jeremiah McKinnon. 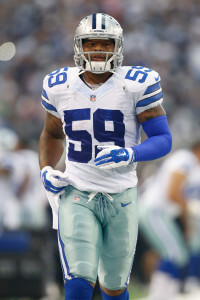 Durant, a 10-year veteran, has played for four NFL teams, including two stints with the Cowboys. Re-signing him wasn’t necessarily an offseason priority for the Cowboys before, but Durant could provide some depth now that Damien Wilson could face league suspension. It also helps that Durant is familiar with the team’s defense and the 4-3 scheme. The 31-year-old (32 in September) was a starter for Dallas in 2013 and 2014, but he was a reserve with the team last year. He finished out with 37 tackles and one sack. For his career, Durant has 92 career starts on his resume. 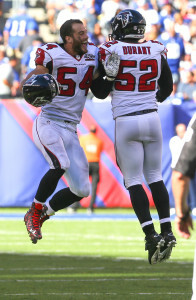 He is still looking to replicate his 2012 campaign with Detroit, a season in which he recorded 102 tackles in 16 games. He has not played a full slate of regular season games since. Outside of an April visit with the Bills, it has been a very quiet offseason for Durant. Now, he’s eager to prove that he still has a place on a 53-man roster. 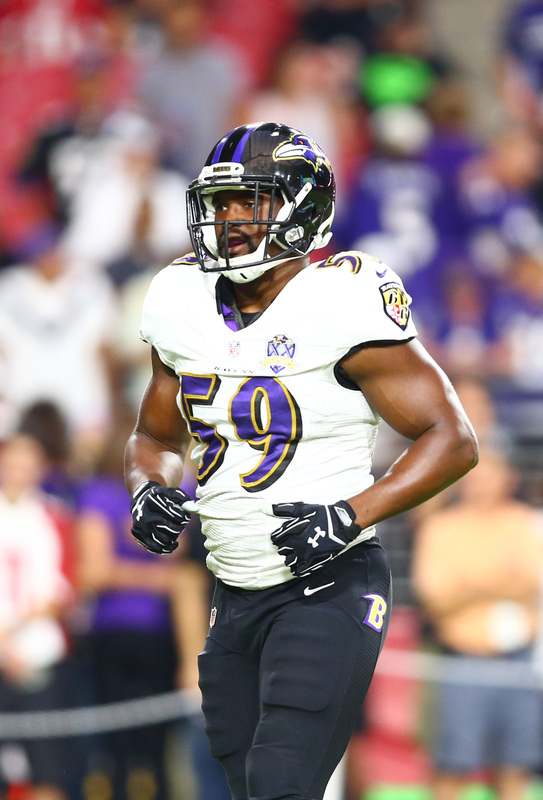 Justin Durant has not drawn much interest in advance of what would be his 11th NFL season, but the Bills are taking a look at the UFA linebacker. Durant visited the Bills today, Adam Caplan of ESPN.com tweets. The 10-year veteran has played for four NFL teams, including two stints with the Cowboys, and served exclusively as a component on 4-3 defenses. The Bills planning to pivot back to a 4-3 scheme would seem to make Durant a potential option. The 31-year-old ‘backer served as a backup on last season’s NFC East champion version of the Cowboys after previously working as a starter in Dallas from 2013-14. Durant has also spent time with the Jaguars, who made him a second-round pick in 2007, along with the Lions and Falcons. He made 37 tackles last season and recorded a sack. Durant has 92 career starts to his name, the past 12 coming with the Falcons in 2015. Durant’s best season came in 2012 with Detroit, when he made 102 tackles in 16 games. He has not played a 16-game slate since. Buffalo is thinner on its second level after losing Zach Brown to the Redskins via free agency defection. Currently, the team has Ramon Humber and recently re-signed Lorenzo Alexander slotted as its outside ‘backers. Reggie Ragland is also coming off a season-nullifying injury, so the Bills are in need of at least some depth at linebacker. The Bills did sign former Jaguars defensive end Ryan Davis, a player who converted to linebacker last season in a nomadic year. They previously visited with Brown and Keenan Robinson as UFAs, only to see both wind up in the NFC East. Patriots offensive coordinator Josh McDaniels, whose brief stint as Denver’s head coach from 2009-2010 was generally a disaster, has more than rehabilitated his reputation since reprising his role as New England OC in 2012. He is mentioned as a top head coaching candidate each offseason, and as Mike Reiss of ESPN.com writes, McDaniels has never been more decisive about his desire to return to the head coaching ranks than he was when speaking with media this week. McDaniels said, “[New England] is an incredible place to work, I love being here and I’m happy to do this job as much as I can, as long as they’ll have me. I do want to be a head coach again at some point in my life. I’ve learned a lot over the last so many years and hopefully gained a lot of wisdom and if and when that time comes, I’d look forward to the challenge of doing it again.” Those statements have led Reiss to wonder if McDaniels might be more aggressive about pursuing a head coaching job in the near future. The Dolphins placed Dion Jordan on the non-football injury list today, and there is some intrigue surrounding the move. Per Barry Jackson of The Miami Herald (via Twitter), head coach Adam Gase and the rest of the Miami brass were unaware that Jordan had knee surgery prior to his reinstatement, and as Armando Salguero of The Miami Herald tweets, Jordan declined to say how he injured his knee while not playing football since 2014. For what it’s worth, Gase did say that Jordan “has a fresh start with me. Whatever happened in the past is irrelevant” (Twitter link via Adam Beasley of The Miami Herald). In addition to placing Jordan on the NFI list, the Dolphins made a couple of cornerback moves and activated Arian Foster from the PUP list, according to this team’s official website (via Twitter). Foster practiced with his new club this morning. Justin Durant, whom the Cowboys recently signed to give them a viable option at middle linebacker in Rolando McClain‘s absence, was seriously contemplating retirement before coming back to Dallas, according to Clarence Hill of The Star-Telegram. But the 30-year-old Durant said, “You just get that itch. Once I started looking at TV and seeing everybody going back to OTAs and stuff, I just figured I wasn’t done yet. I feel like I still have the ability to play, and I guess this organization felt like I could still play. Sheldon Richardson‘s motivation to land a lucrative contract extension and his full-time return to the Jets’ defensive line could lead to a huge season for the 25-year-old, argues Brian Costello of the New York Post. The Jets will no longer experiment with Richardson at linebacker, where he spent some time in 2015. He’s also entering the penultimate year of his contract and will be eligible to sign an extension after the upcoming season. New York just awarded a high-paying deal to fellow standout D-lineman Muhammad Wilkerson last week, of course, and Richardson will look to follow in his footsteps in 2017. The Cowboys gave linebacker Justin Durant, who signed with them Monday, an $80K bonus and a $120K base salary guarantee on the one-year deal inked with the team. Durant will count $680K against their salary cap (Twitter link via Todd Archer of ESPN.com). In case you missed it, Bills cornerback Stephon Gilmore, who’s entering a contract year, is unlikely to receive an extension. The Cowboys announced that they have signed linebacker Justin Durant. Clarence Hill of the Star Telegram (on Twitter) first reported that a deal could go down today. Thanks to his two years spent in Dalas, Durant is already familiar with Dallas defensive coordinator Rod Marinelli‘s playbook. 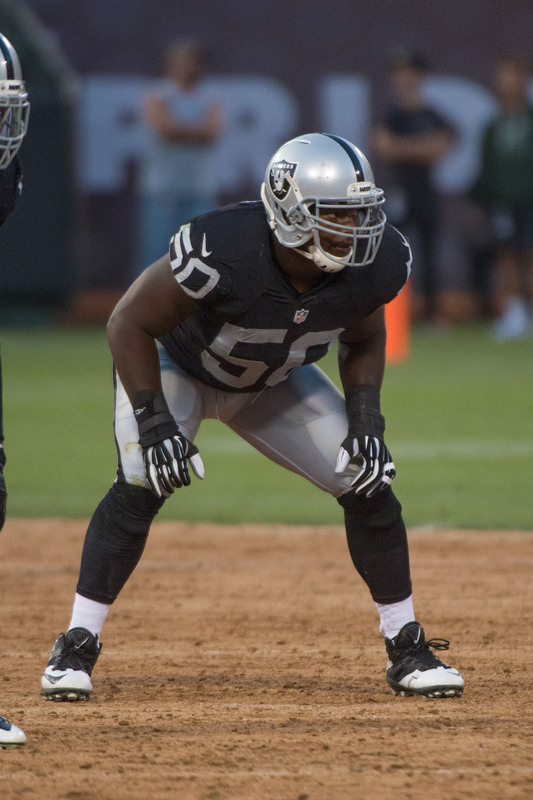 He also offers versatility having played at different linebacker spots during his time with the Cowboys. The Cowboys could use a boost at linebacker after Rolando McClain was hit with a 10 game suspension for violating the league’s substance abuse policy. Durant, 31, inked a three-year deal with a base value of $10.8MM with Atlanta following the ’15 season. Unfortunately, he did not give the Falcons the kind of production they were expecting. In 13 games (12 starts), Durant tallied 81 tackles and three pass deflections. It’s possible that a return to the Cowboys could rejuvenate Durant’s career and allow him to put up the kind of production that he did in 2014. The Cowboys are talking to linebacker Justin Durant about a potential reunion, Mike Garafolo of FOX Sports tweets. 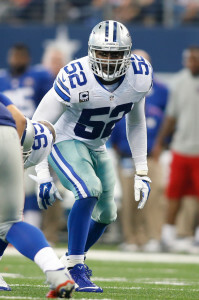 Durant could give Dallas some needed depth at linebacker while Rolando McClain is suspended. Durant, 31 in September, spent the 2015 season with the Falcons but was released by Atlanta in February. Prior to that, Durant spent two years in Dallas. Durant may not be a superstar, but he does offer some familiarity with Dallas defensive coordinator Rod Marinelli‘s playbook and that’s a major plus as the team faces ten games without McClain. Durant also offers versatility having played at different linebacker spots during his time with the Cowboys. In 2015, McClain graded out as Pro Football Focus’ No. 28 linebacker (subscription required). 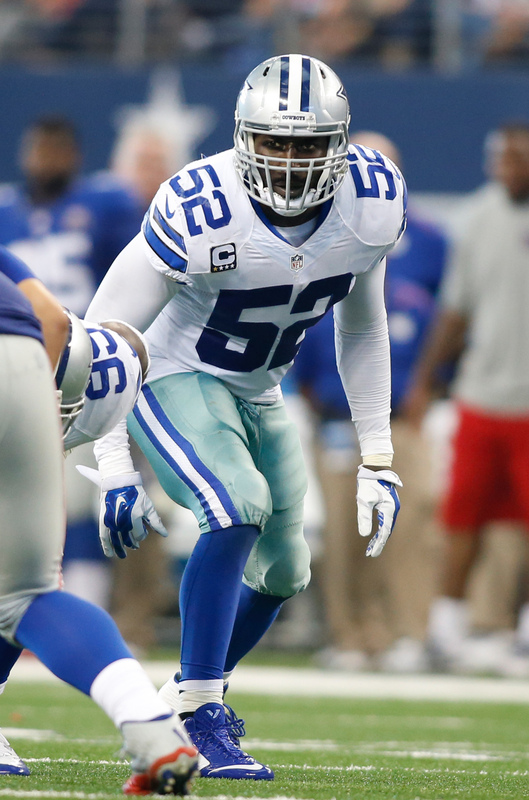 In his suspension-shortened season, McClain recorded 80 total tackles, 2 sacks, and 3 pass deflections. After being slapped with a 10-game ban, it appears that McClain has entered stage three of the stage three of the league’s substance policy for marijuana. McClain has always been regarded as a highly-talented linebacker but his off-field issues have hampered him throughout his NFL career. Durant inked a three-year deal with a base value of $10.8MM with Atlanta following the ’15 season. Unfortunately, he did not give the Falcons the kind of production they were expecting. In 13 games (12 starts), Durant tallied 81 tackles and three pass deflections. He has not played a full 16 game season since 2013. Last week, PFR’s Dallas Robinson ran down potential solutions for Dallas at linebacker, including Durant. The Falcons announced that they have cut linebacker Justin Durant and William Moore. Today is the first day that teams are allowed to release players and the Falcons wasted little time in dropping two of their veterans. Durant, 31 in September, inked a three-year deal with a base value of $10.8MM less than one year ago. Durant got big bucks from Atlanta but he did not deliver the kind of production they were hoping for. In 13 games (12 starts), Durant tallied 81 tackles and three pass deflections. Durant has not played a 16 game season since 2013 and he was not able to snap that streak in 2015. Now, he’ll be spending 2016 elsewhere. 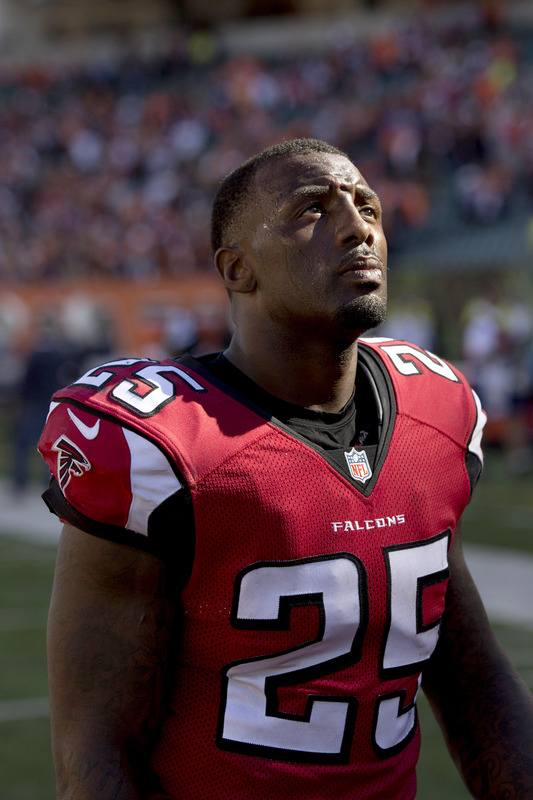 Moore, a former Pro Bowler, was a starting safety for Atlanta, racking up 51 tackles and two interceptions in 11 games last season. Unfortunately, injuries held him back and his season formally ended on December 15th when he was placed on IR. In total, Moore spent seven seasons in Atlanta, playing in 76 games with 72 starts and earned a Pro Bowl selection in 2012. Moore amassed 481 tackles (319 solo) with 16 interceptions, 3.5 sacks, 10 forced fumbles, three fumble recoveries, and 38 passes defensed during his time with the Falcons.